Yes, epilator… ever heard of this ?? But I ll suggest you to try it. Learning to use an epilator is quite easy to use. Atleast it is way more painless that normal waxing which we use to remove our body hair, instead of tweezing. But I will tell you, it just hurts the first couple of times but later it does not. After using this, you will be ready to flaunt your smooth and sexier skin. We here BestTrimmers Team will hereby will guide you to get the best epilators in India for yourself available in the market. 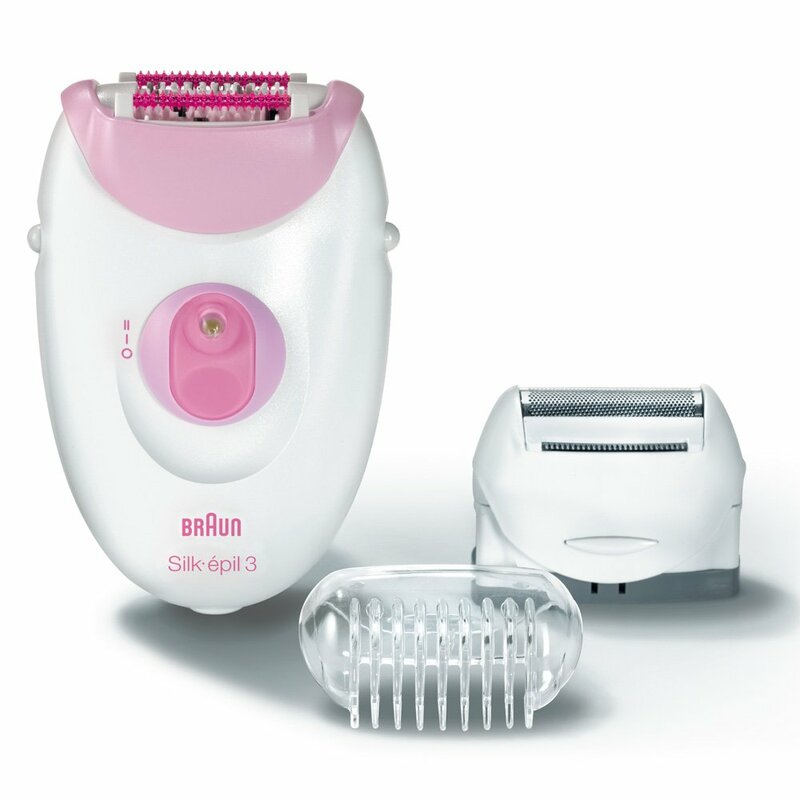 This Skin epilator for women by Braun is the new standard in epilation. Braun’s revolutionary Micro Grip Tweezer technology removes hair 4 times shorter than any wax. It will give you salon like smooth results that will last up to 4 weeks. This wet and dry epilator removes more hair in one stroke. You will get 12 extra attachments along with the epilator for shaving, exfoliation, massage, trim etc. This epilator is 100 percent water proof and can be washed under running water. 2 speed settings, one for extra gentle epilation and another for an extra efficient epilation. The micro-grip technology removes hair efficiently by the root for long lasting smoothness. Silk-epil tweezer technology removes hair as small as a grain of the sand. This is dermatologically recommended. 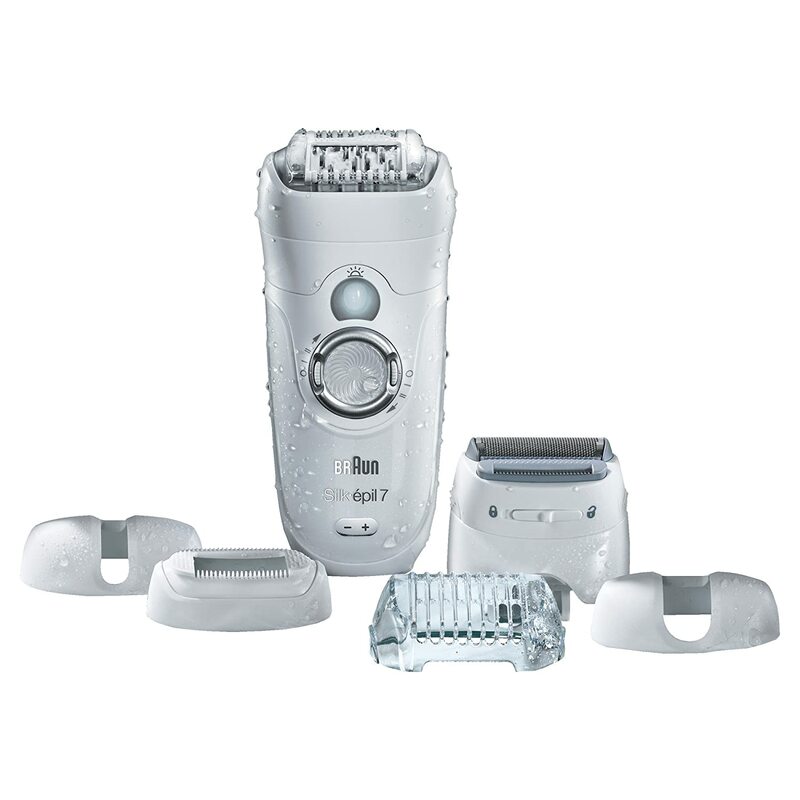 This Braun epilator is one of the best products for extra comfort and a soothing epilation experience. It is 100 percent waterproof and you can confidently use it in the bath or in the shower. Most efficient on short hairs. 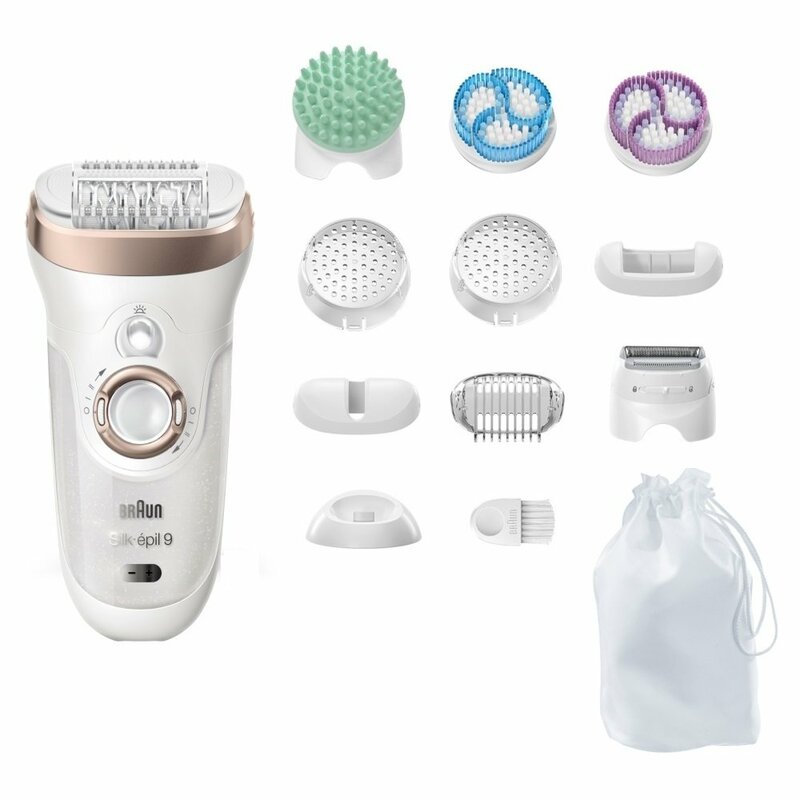 This epilator is cordless and can be used in wet and dry conditions. You will get 6 extra attachments along with the epilator also : a shaver head, a trimmer cap, a high frequency massage cap, a sensitive area cap, a facial cap and an efficiency cap. Also a 2 year warranty is a bonus . 40 Close-Grip tweezers remove efficiently hairs as fine as a grain of sand for up to 4 weeks giving smooth skin. The smartlight property reveals even the fine hair for extra thorough hair removal. You can not only use this in legs but also in underarms, arms, face and bikini area.This reduces any kind of discomfort. 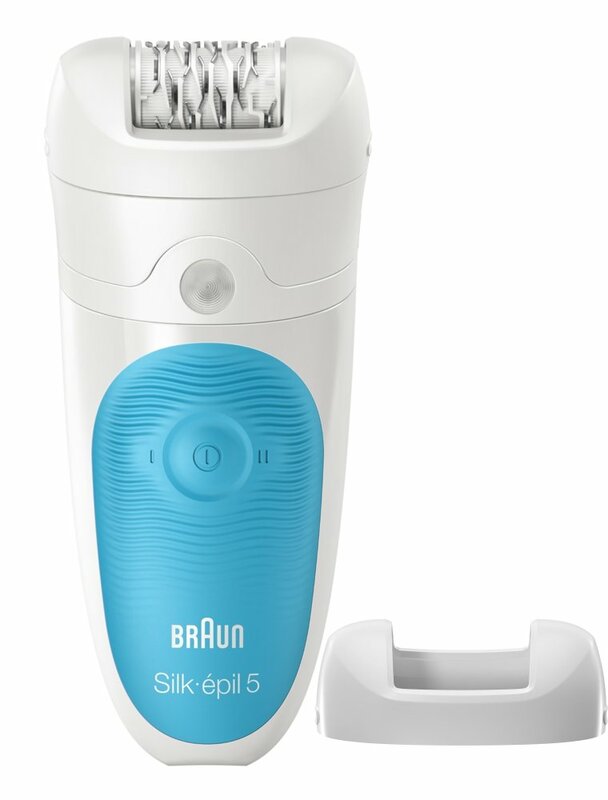 This Leg Epilator from Braun consists of 20-tweezer system for a gentle removal of the hair from the root resulting in long-lasting results for up to four weeks. The massaging rollers smoothly stimulate and massage your skin to ease the epilation. The Smartlight helps you find even the finest hairs for no miss removal and the speed personalization allows you to select the right speed for your individual needs. Cord length is fairly long. But there is little pain which i guess happens coz hair is being pulled out from the roots. Overall it is a saver in the time of crisis. Best part is you will get 2 year extra warranty for this appliance. This 3/3270 Epilator by Braun has rough ceramic tweezers with unique ridges that lifts up flat lying hair, removing body hairs in a single stroke the rounded shape fits perfectly in your hand for comfortable hair removal. Massaging rollers smoothly stimulate and massage your skin to ease the epilation. This appliance functions with cord operation and will work when plugged in only. You can try it in the shower when your skin is softer for epilation , take warm water bath and then start the epilation. 2 year warranty makes it a steal deal offer. You will be given the ability to choose depending on your wants and needs and enabling you to benefit from a complete skin experience. 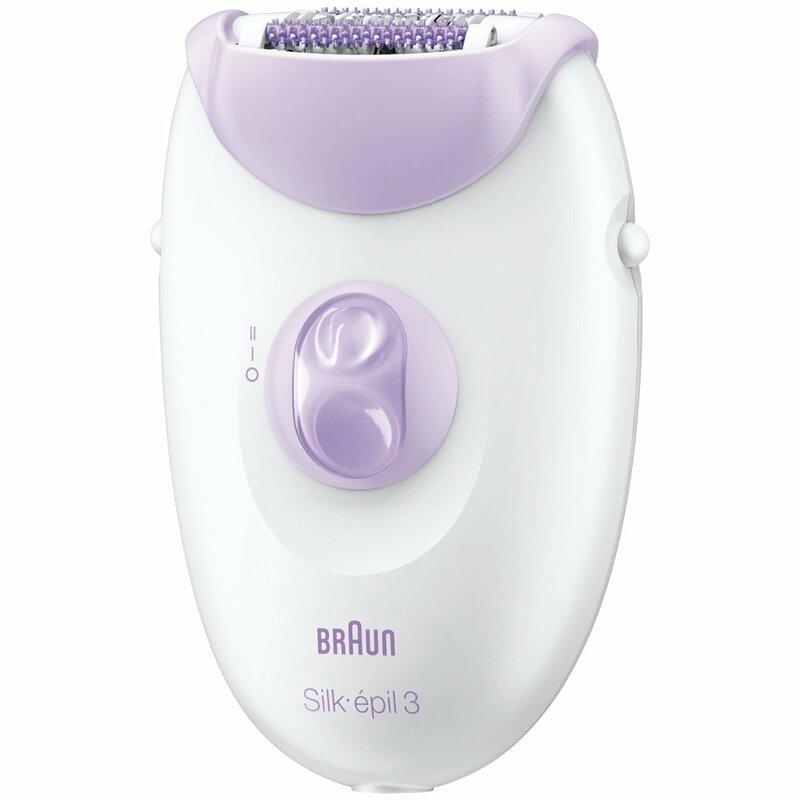 This Silk epil Epilator by Braun is the best one for the women those who are new to epiliation and can be used in the bath or shower for extra comfort and convenience. After using this your skin will be extra soft and smooth for up to 4 weeks .You will get 28 tweezers on it’s head to remove the hair 4x shorter than waxing. The massaging rollers also help to minimise discomfort. With regular use, epilation becomes virtually painless. After epiliation use moisturizing lotion for silky smooth skin. You will get 2 speed settings for proper adaptation to the individual skin type. It is quite easy to control and can remove hair as small as a grain of sand. You will get 2 year warranty with the product.